How I found it: Browsing through the Giller nominated books on Amazon.ca. 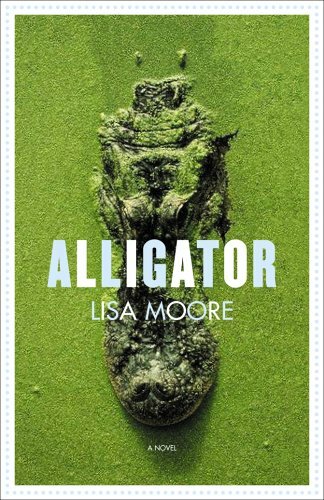 I like to read mostly Canadian fiction so I often read Giller nominated books since they are supposed to be good - and they often are. What's it about? : Interweaves six narratives of somewhat related characters each having their own little crisis in contemporary St. John's, Newfoundland. The book really rides on the characters and how they develop, with not as much emphasis on plot development. Global issues like environmental activism, the film industry, and immigration ensure that it is not your stereotypical Newfoundland tale. Did I like it? : Most definitely. It's true, the plot is a little undeveloped, but it doesn't seem to matter much. I also had trouble relating to the characters and at times since they weren't that likeable (even the ones that are supposed to be). The point of the story, however, is not to make them likeable - it is to show the ugliness in everyone so I suppose that is a normal reaction. I read it in just a few days and really enjoyed her writing style as well. Will you like it? : Probably. This book is definitely "literature" as opposed to pulp fiction (it's no Dan Brown), which is a good thing. If you require a strong plot, you won't like it. However, if you want a book that makes you think and you want to support a young Canadian female author, this isn't a bad choice. But don't take my word for it: See these reader reviews and editorial reviews. How I found it: Random browsing in the bestsellers section at Chapters (although I don't think it's an actual current bestseller - just one of those "If you liked ____, you'll like this" books). I'd also read Winchester's book on Krakatoa that Greg had. What it's about: A biography on William Smith, the English father of geology and the guy who invented stratigraphy. (Stratigraphy is where you compare rocks in different layers to tell their age. It's also called relative dating, which I thought was pretty funny in high school.) Apparently this early, white Will Smith was into fossils, but still had a pretty rough life. Did I like it? : As much as I like geology and geography, and I usually like biographies, this book was a bit dull. It could have been half as long and been more interesting. Winchester also jumps around a lot so I didn't get a real sense of the chronology of Smith's life - which is something I think you should get out of a biography. 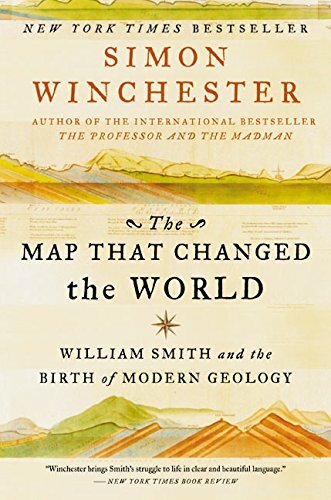 Apparently Winchester is a trained geologist (at Oxford no less) so he tries to give the reader a little geology lesson as background for the book and it gets really boring (even for me). However, I'm glad I read it as I learned all about early geology and stratigraphy, which I wouldn't have done otherwise. Will you like it: Probably not. Unless you are a geologist, in which case you might have known about this guy anyway. It wasn't terrible by any means, I just don't really recommend it. But don't take my word for it: Check out these scathing reader reviews on Amazon and some more favourable editorial reviews. What it's about: A re-telling of Homer's The Odyssey from the perspective of Odysseus' wife Penelope. Atwood uses her usual feminist slant and dry humour to give a totally different take on this classic. Penelope basically just gives us her life history, as she sees it. 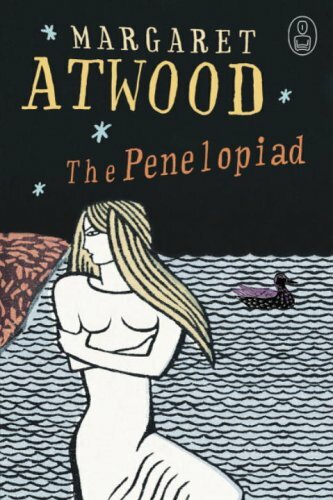 Atwood also uses the Greek literary device of the chorus, in this case a role given to Penelope's 12 maids, which makes reading the book more varied since there is more than one perspective. Did I like it? : Hard to say. I have to admit that I haven't read any Homer, although I am familiar with the story. I picked up this book just because it was Atwood, and also I suppose, because it re-told a story that I thought could do with some re-telling. Atwood told the story in a tongue-in-cheek, flippant manner, which I enjoyed, and managed to sneak in some fairly humourous scenes. Not my favourite Atwood book... perhaps one step above 'just okay' would be my rating. Will you like it? : If you are a die-hard Atwood fan, or a fan of feminist literature, you'll probably enjoy this. Or maybe if you like Homer and want a different perspective it will be worth a read. Otherwise I'd say it doesn't really make a good bedtime read, but if you are into more serious reading, give it a shot. But don't take my word for it: Editorial reviews, other regular people reviews. The Basics: A Year in the Merde, Stephen Clarke, 2005, 276 pages (paperback), apparently there is a sequel called Merde, Actually. 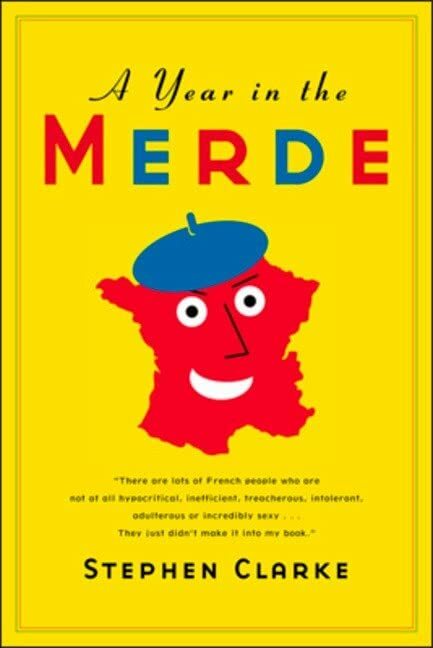 What it's about: This is a fictionalized account of an English guy's experience of going to live in Paris for a year to work for a French food company and develop a chain of English-style tearooms. Along the way he learns about French people and culture, and manages to hook up with a lot of French girls. He is a bit of a Hugh Grant character who does typically English things like stepping in dog merde while he's out on a date. Hence the title. Did I like it? : Ummm... yes and no. It seemed a bit like one of those fluffy chick-lit books, kind of like the Shopaholic books, but written from a guy's perspective. It also seemed a bit Bill Bryson-ish, as if he was trying extra hard to make me laugh. But he did make me laugh a few times I guess. This book is supposed to read like a travel story or a living abroad memoir, but it really reads more like a poorly thought-out novel where all the events have to be compressed into a chronological order because the character is on a one year contract. Would you like it? : Well, that depends. The book is kind of cute, and on occasion funny. If you have any particular connection to Paris, this account of living there would be nice to read. If you want a better Bryson, this isn't bad as well. It would make a good fluffy book to read if you are in the mood for that kind of thing, but don't rush out an buy it. Borrow it from a friend or the library, or maybe pick it up at a used bookstore. Welcome to "I Read Too Much"
I really do read too much. As a law student, I read hundreds of pages a week of really dry articles and cases. In addition to that, I also read a little bit of my choosing every day. The stuff I read comes from a wide variety of sources and I'm pretty indiscriminate about what I read. In this blog, I'll post a review of everything I read as soon as I've finished reading it, with a few exceptions: I read our local newspaper, the Halifax Chronicle Herald, or as I prefer, the Chronically Horrid, every day. I'll spare you that pain. I also do a lot of reading online. I read lots of news feeds and blogs, as well as a few forums. If you are interested in reading lots of blogs, newsfeeds, etc., I recommend you use Google Reader for all your RSS needs. It's horribly addictive. The forums I frequent are Television Without Pity, Clubtread (which is a Vancouver hiking site) and Lawstudents.ca. You won't hear about that here though, as there isn't time (or interest I would imagine). It will be primarily book reviews here, though, and I'll try to keep them brief and interesting. I'm also always on the look out for new things to read, so if you have suggestions, or a book to lend me, leave me a comment.